Last Wednesday, the Ottoman Sultan Abdul Hamid II — who died at the age of 75 in 1918 — sprung back to life, strutting through the lavish corridors of the Yildiz Palace in Istanbul, handing out orders to aides, ministers, and his grand vizier. Speaking in classical Arabic, Syrian star Abbas Al Nouri ensured that Abdul Hamid II came across as a warm, strong and intelligent monarch — very different from how Arab history has viewed him since the collapse of the Ottoman Empire nearly 100 years ago. 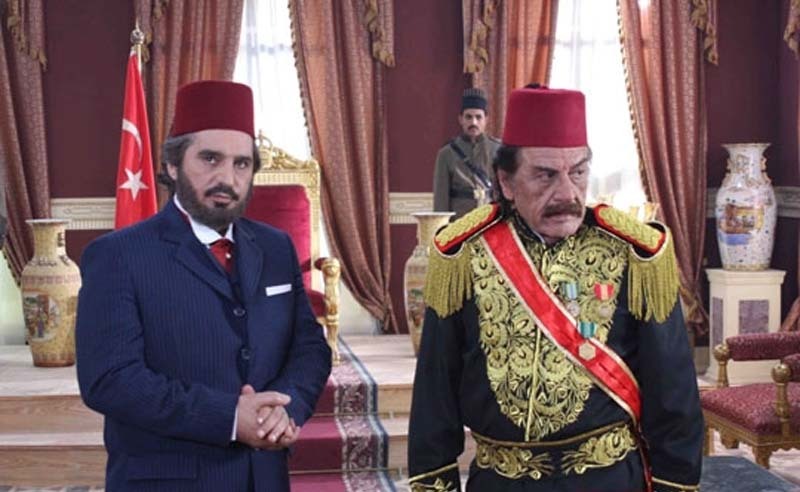 Many would attribute this portrayal directly to warming Syrian-Turkish relations, but the entire TV drama, Suqout Al Khilafa (Fall of the Caliphate), was Egyptian, rather than Syrian, produced by Iraqis and involved a colourful assortment of stars from around the Arab world. 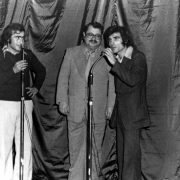 In the 1960s and 1970s, TV throughout the Arab world was intended purely to entertain. Audiences loved to watch light comedies starring Syrian actor Duraid Lahham or his Egyptian counterpart Adel Imam, which steered clear of anything serious or thought provoking. Producers reasoned that TV had been invented to air soap operas, comedies, sitcoms and talk shows, rather than serious historical or political dramas. 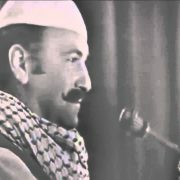 In Syria, however, due to a declining cinematic industry and a rising television one, filmmakers started to introduce heavyweight topics into TV dramas, which seemingly overnight shifted from the Charlie Chaplin-like comedy of Ghawar Al Tawsheh to tedious historical epics portraying legendary warriors such as Salah Al Deen and Khalid Ibn Al Walid. When the Syrian private sector ventured into TV production — which meant greater wages, better scenery and stronger scripts — TV dramas came into their own. Production companies, however, were working for return on investment and began arranging for their works to be aired during Ramadan, so as to coincide with audience preference and advertisers’ budgets. 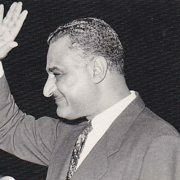 The portrayal of historical figures on screen during Ramadan started 11 years ago, when Egypt came out with a 30-episode biographical work on the diva Umm Kalthoum. 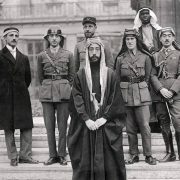 Others quickly followed, depicting Abdul Halim Hafez, Jamal Abdul Nasser, Mohammad Abdo and, more recently, Asmahan, King Farouk, Laila Murad and Nizar Qabbani. Most of these works were delayed due to controversy and legal disputes as the families of the historical figures refused to grant production companies permission to go ahead. Among the historical figures brought back to life this Ramadan are pioneer playwright Abu Khalil Qabbani, who founded Syrian theater in the 19th century and revolutionized it in Egypt, and Abdul Hamid II. 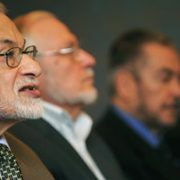 A prominent work from the early 1990s, Ukhwat Al Turab (Brothers of the Soil), went into great detail about the torture of Arab dissidents during the First World War. Suqout Al Khilafa, which follows 14 years later, shows just how much Arab-Turkish relations have changed. This production, which will be broadcast in Turkey dubbed into Turkish, delves into Abdul Hamid II’s famous commitment to Palestine and his refusal to sell land to Zionist chief Chaim Weizmann in 1903. Another controversial figure appearing on TV screens this Ramadan is the founder of the Umayyad Dynasty, Muawiya Bin Abi Sufyan, played by the young Syrian star Qays Shaikh Najib. Sunnis consider Muawiya a sahabi (companion of the Prophet) who helped to document the Quran as one of the scribes of Prophet Mohammad (PBUH), expanding Muslim influence and defining the modern Muslim state. Damascenes still refer to him as Sayyiduna Muawiya. Shiites, however, see him as a fraud and an imposter who insincerely converted to Islam after the fall of Makkah and stole the caliphate from Ali, the fourth caliph. 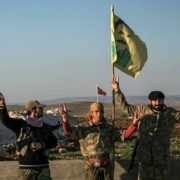 In fact he is one of the major sources of division between Sunnis and Shiites. This year, Muawiya comes to life in the mega Syrian-Qatari production Al Qa’qa Ibn Amr Al Tamimi. The thought of seeing Muawiya on screen has created much resentment among Shiites, while certain scholars have already launched a campaign against the work, saying it “criminally distorts” history and aims to “ignite sedition among Muslims”. History was never black and white, as it is depicted every Ramadan. Muawiya, Sultan Abdul Hamid II and even Nizar Qabbani, Um Kalthoum and King Farouk were human beings who experienced ups and downs and had faults and attributes. Arab audiences are intelligent, after all, and are beginning to ask why they can’t watch something halfway between Ukhwat Al Turab and Suqout Al Khilafa. In all of these works, the historical characters are depicted as one-sided figures — either wholly good or exactly the opposite. For an explanation as to why, take for example Bab Al Hara, a Syrian five-part drama that paints a very rosy picture of Damascus during the 1930s. Although riddled with historical inaccuracies, this production is immensely popular throughout the Arab world, giving producers an insight into what Arab audiences want to see. It’s the glamour of Yildiz or Abidin Palace, the regal lifestyle of King Farouk, the romances of Nizar Qabbani and the chivalry of Bab Al Hara that attracts an Arab audience to all of these works — regardless of how factually correct they are.